Doug Pederson will be the Eagles' 23rd head coach. 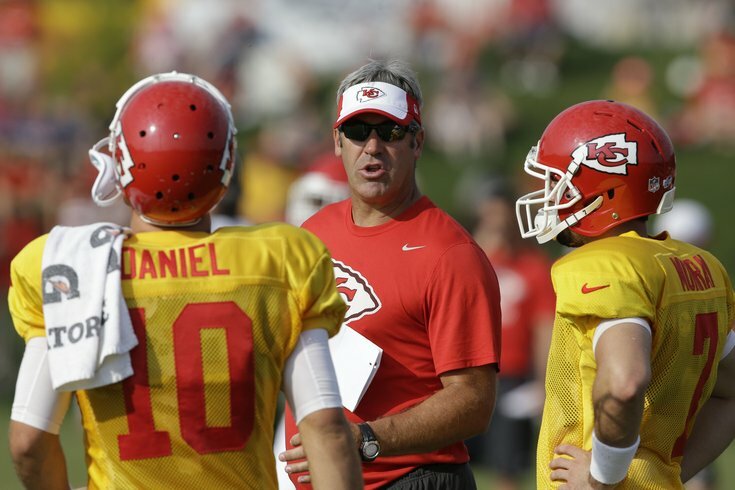 About two and a half weeks after firing Chip Kelly, the Philadelphia Eagles have found their franchise's 23rd head coach, soon to be former Chiefs offensive coordinator Doug Pederson, per Les Bowen of the Daily News. PhillyVoice.com can confirm via a source that it will indeed be Pederson. The Eagles cannot confirm until the Chiefs' season concludes. An Eagles spokesman said only, "We have concluded our search for a head coach. No further interviews are scheduled." The Chiefs will play the New England Patriots this Saturday in the divisional round of the playoffs. Pederson is an Andy Reid protege. Reid was Pederson's quarterback coach when Pederson was a player in Green Bay in 1997 and 1998. When Reid landed the Eagles' head coaching job in 1999, he brought Pederson with him to be his temporary starting quarterback and mentor to rookie Donovan McNabb. Pederson was not the Eagles' first choice. Per a source, former Giants offensive coordinator Ben McAdoo was the Eagles' top target, but he was hired by the Giants. The Eagles then reportedly turned their attention to Tom Coughlin, who also rebuffed them. The Eagles also reportedly have begun to hire a staff of assistants. According to ABC-7 News in El Paso, Texas, longtime NFL assistant coach Ken Flajole will join the Eagles in some capacity, likely as a defensive assistant. The Eagles' head coaching search mostly included former quarterback coaches. Quarterback has been a position of extreme instability on the Eagles' roster since McNabb's heyday. Next on the agenda for the Eagles will be to hire a coaching staff and figure out that pesky quarterback situation. We'll update as we learn more.